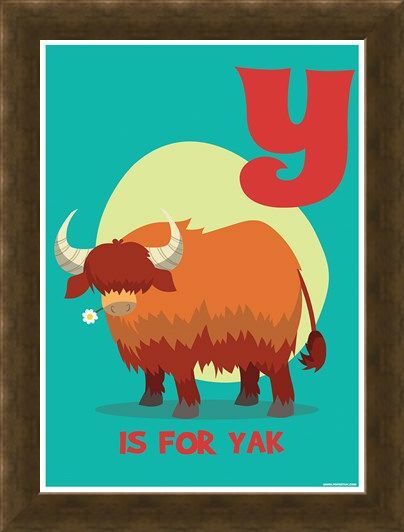 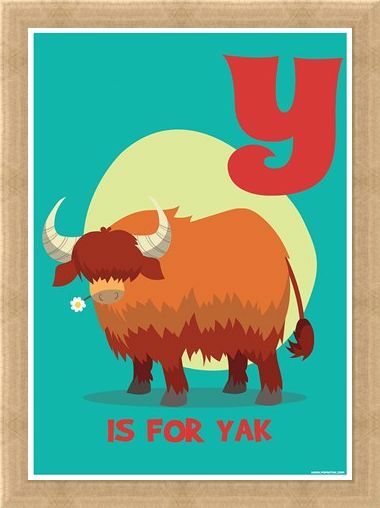 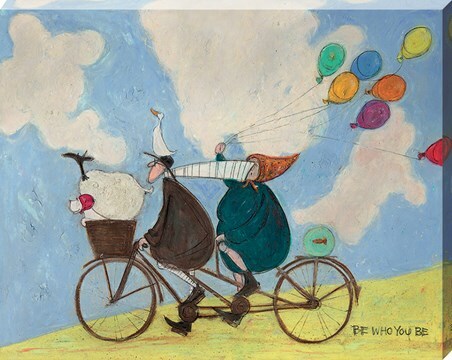 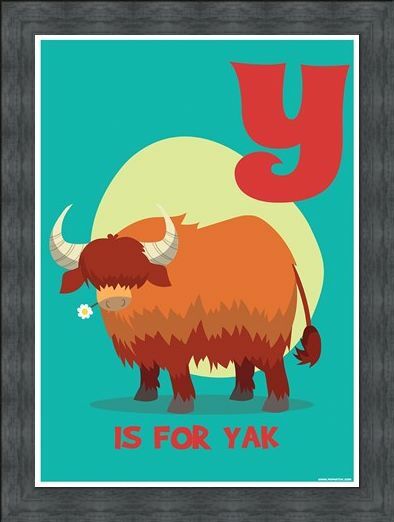 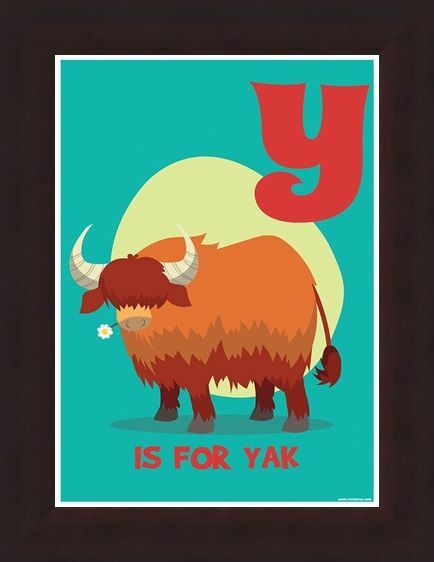 Your youngster's alphabet journey is nearly over...but make sure to remember that Y...is for Yak! 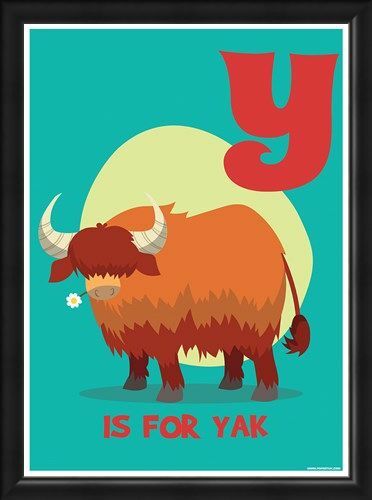 This shaggy haired mountain creature is illustrated against a blue and light green motif, with his tricolor fur, typically large horns, and strong, sturdy hooves. 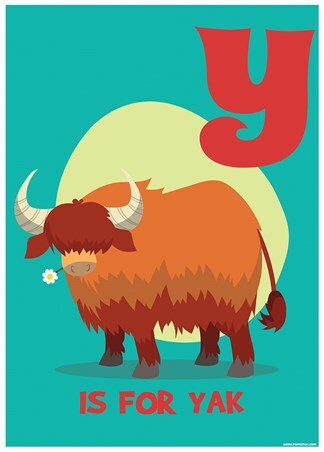 The alphabet is nearing it's conclusion, and this work horse of the mountains is more than prepared to offer a little help to all those wanting to get there! 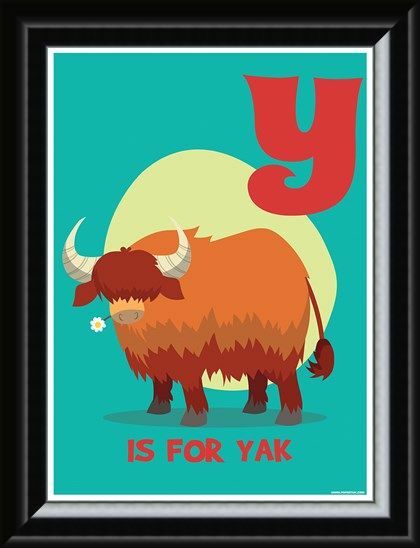 High quality, framed Y...Is For Yak!, Alphabet Art mini poster with a bespoke frame by our custom framing service.